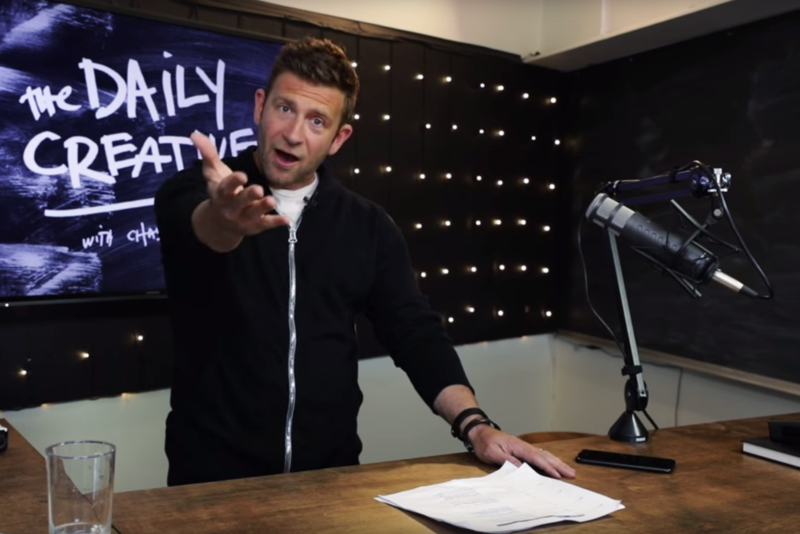 If you’re looking for inspiration as a new creator or advice about getting to the next level of what you’re already doing, Chase Jarvis has your back and is answering questions on his new YouTube series, ‘Daily Creative,’ which launched last week to help viewers turn their passion into a profession. The first three episodes have already aired, addressing issues like how to raise your prices for recurring clients and when it’s time to quit your day job to pursue what you love. Contrary to its title, the episodes aren’t uploaded on a daily basis, but the frequency of uploads will likely increase over time. Being a creative means that few of us are given a steady paycheck and more often than not we find ourselves in situations we might not be equipped to handle. If you don’t have experience working with clients or managing your life around your passion, then it’s good to know that there is a reliable figure you can ask for help. If nothing else, ‘Daily Creative’ is yet another useful resource to make use of from one of the industry greats. Chase has hosted other, similar shows in the past answering questions from call-ins, which means that the show will hit the ground running and we won’t have to deal with the experimental period as things get going. All the questions are to be submitted by phone (802-962-4357), so call in if you have a question for Chase, and watch the first three episodes below!